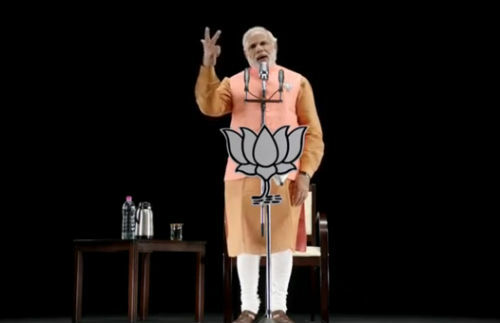 Aiming to connect to the maximum numbers of electorates, BJP Prime Minister Candidate Narender Modi addressed more then hundred rallies in twenty states across India through 3D technology. In Himachal Pradesh rallies were organised at two places, Shimla and Una. In his address, Narender Modi urged electorates to vote in favour of BJP candidate and give clear mandate to BJP in the parliamentary election. He said that BJP sought vote for development and honour of the nation. He promised to provide quality education to every single youngster and better health sector. Targeting Congress, Modi said that Congress has derailed the development of the nation. He claimed that people of the India wanted freedom from the existing darkness and wants to move to good governance. Earlier 3D technology was used in 2012 Gujarat Polls. This time the scale is much bigger.